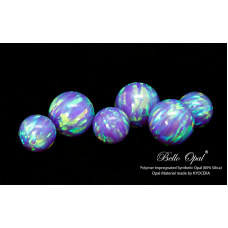 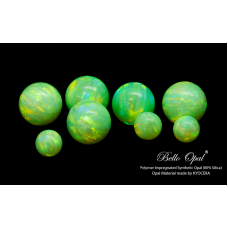 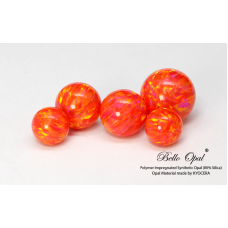 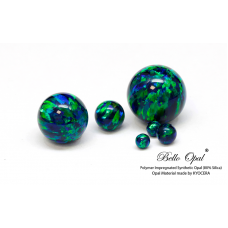 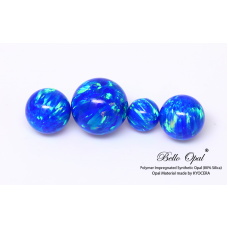 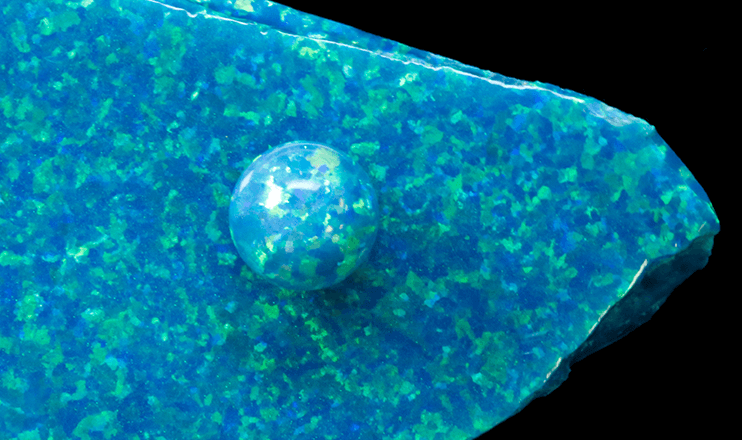 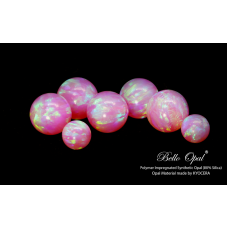 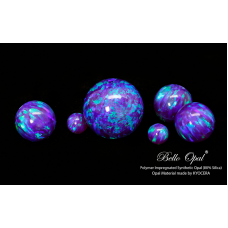 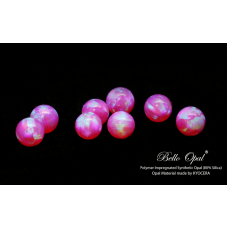 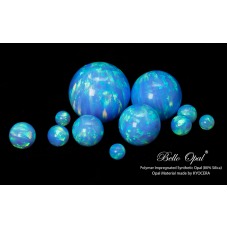 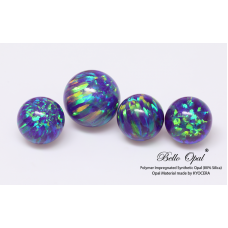 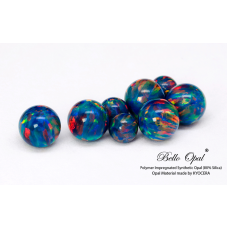 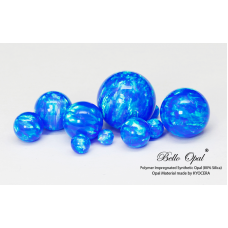 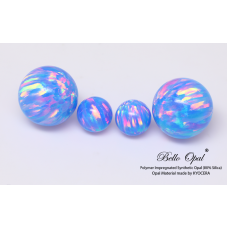 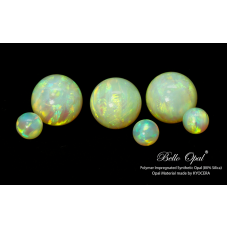 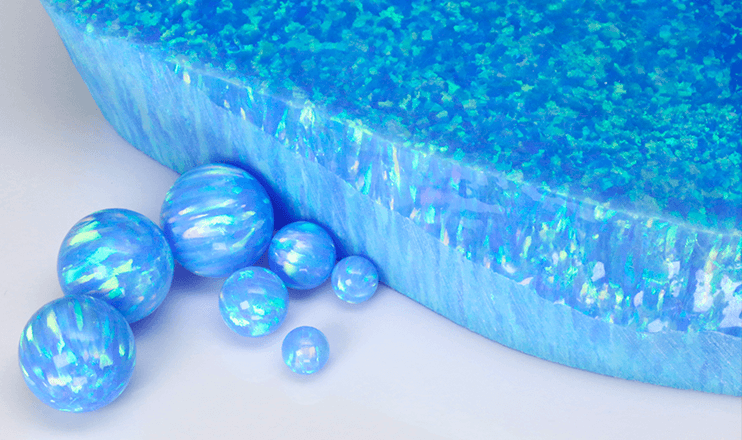 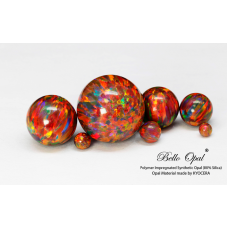 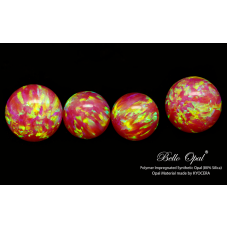 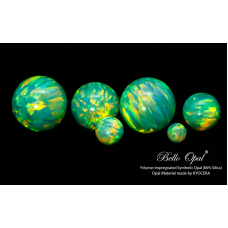 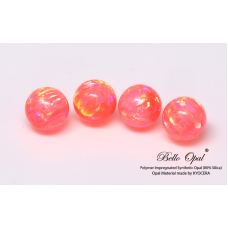 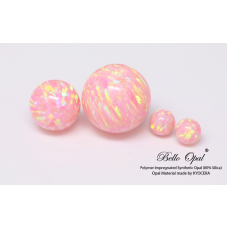 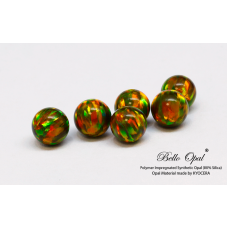 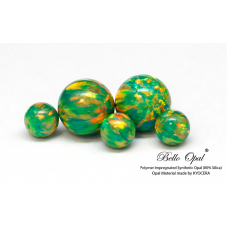 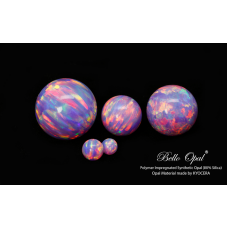 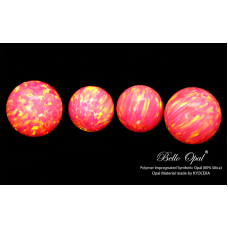 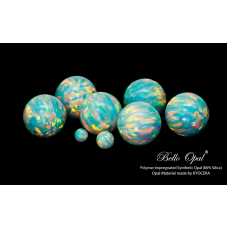 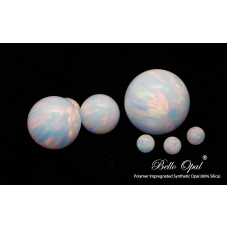 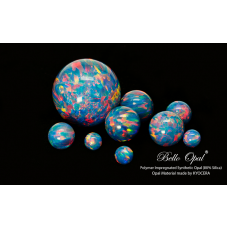 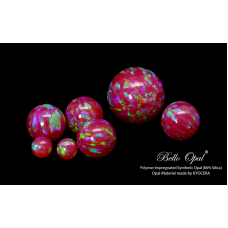 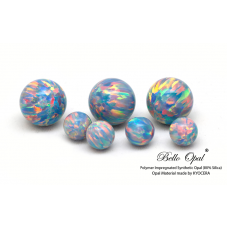 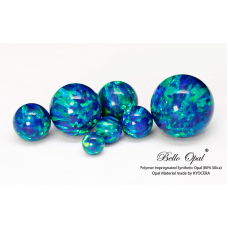 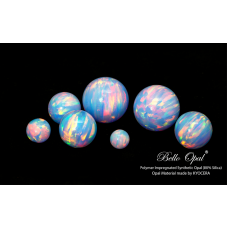 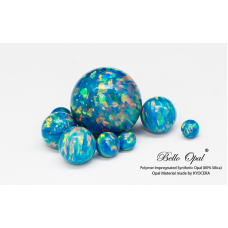 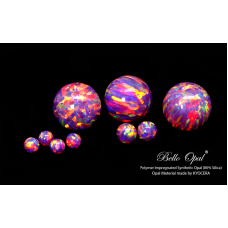 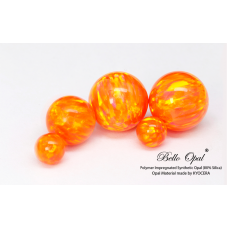 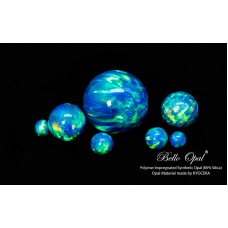 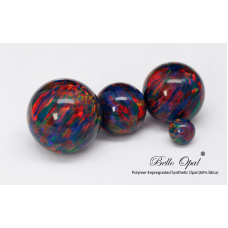 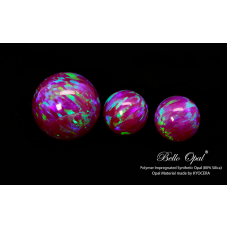 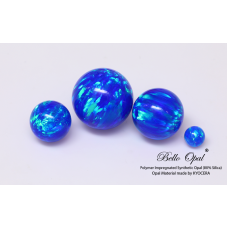 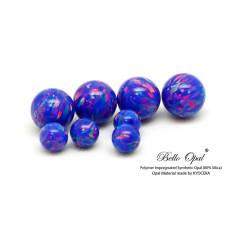 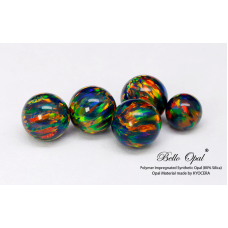 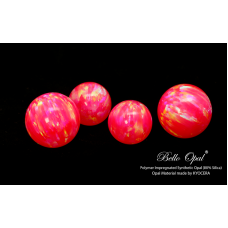 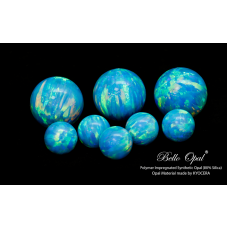 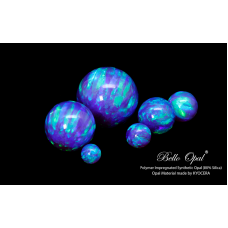 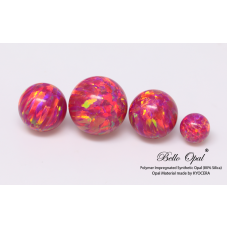 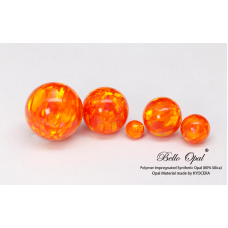 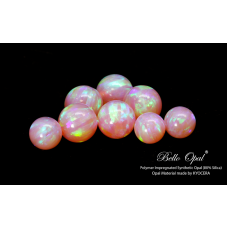 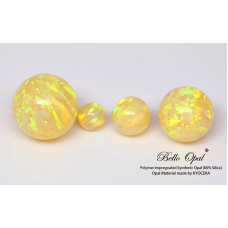 Bello Opal® round bead (Polymer Impregnated Synthetic Opal) is increasingly popular among jewellery designs, especially for the body piercing jewellery market. 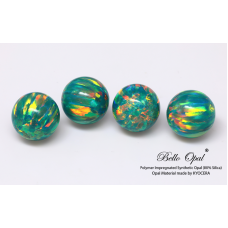 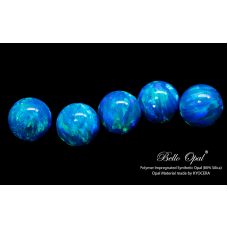 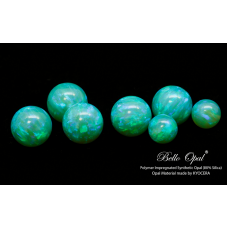 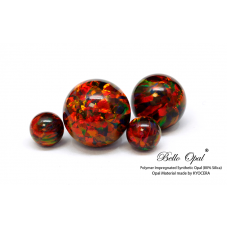 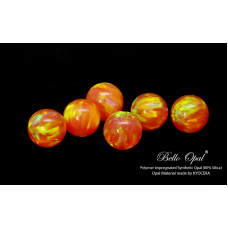 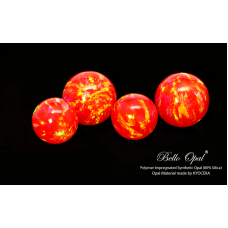 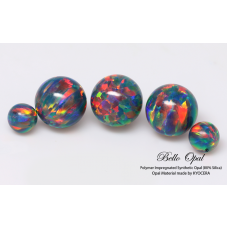 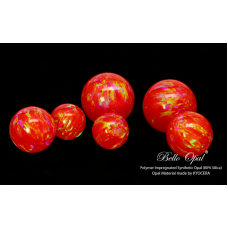 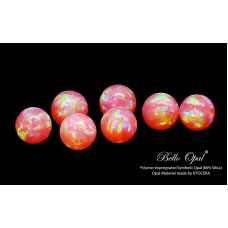 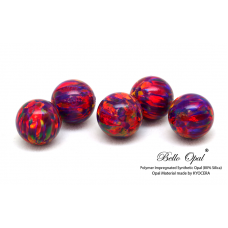 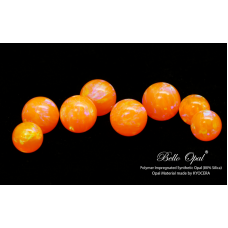 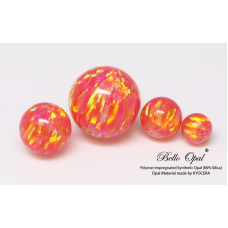 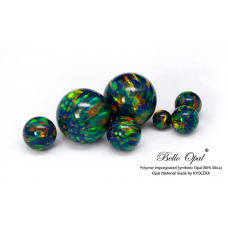 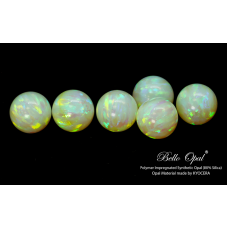 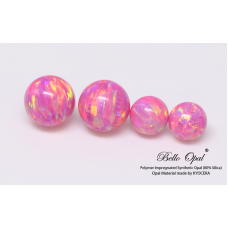 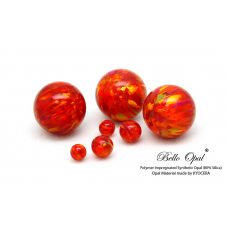 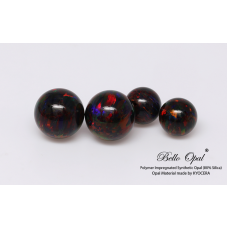 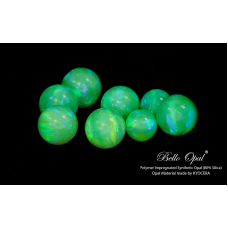 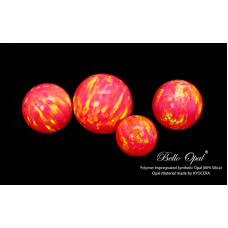 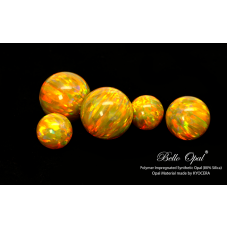 Each piece of Bello Opal round bead has two different kinds of fire pattern, and while rotating; there will be various of magical brilliance and gorgeous colour, with attractive opal fire reflections. 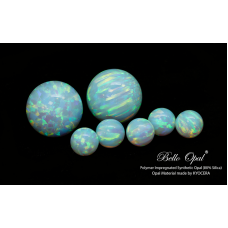 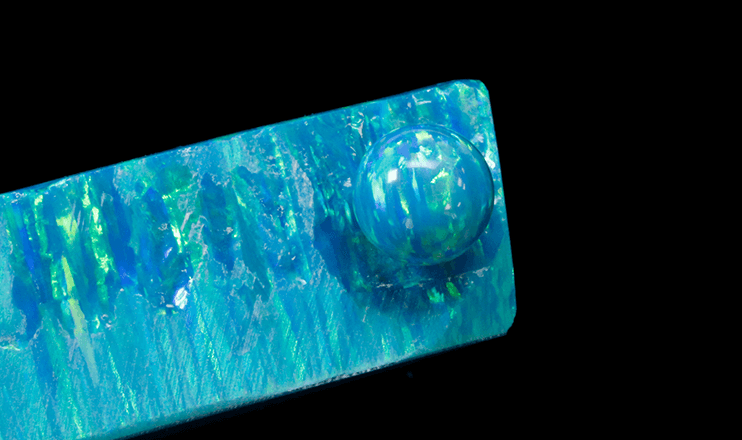 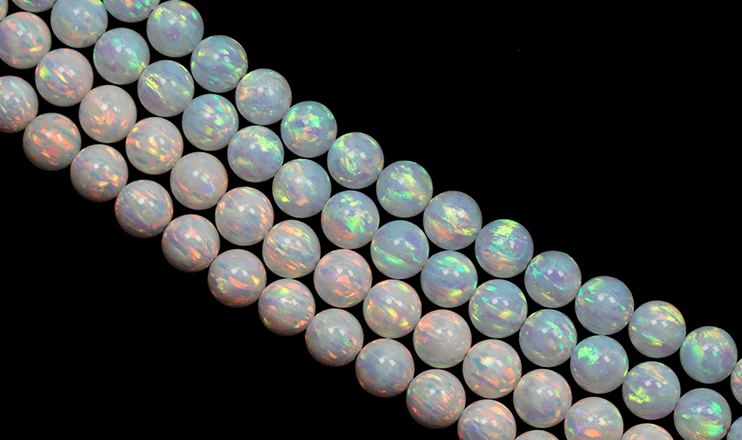 Each piece of lab grown synthetic opal bead MUST have A Cut (dot pattern) and B Cut (horizontal stripe pattern). 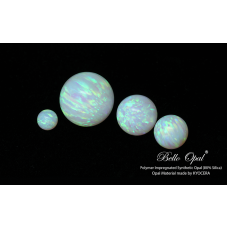 This is one of the ways to verify the Bello Opal® round bead. 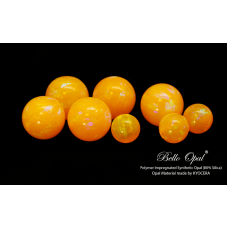 Sanwa offers opal bead from size 1.2mm to 18mm and they are available with different kinds of drilling, such as half drill, full drill or no hole. 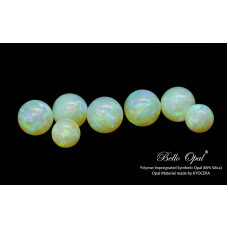 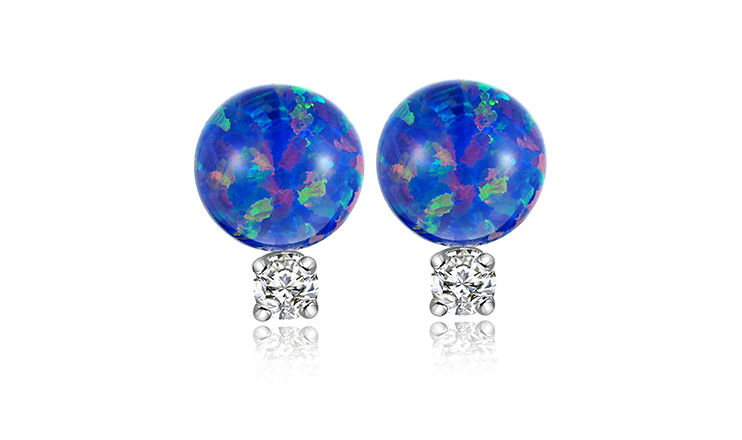 Round opal beads are popular for earrings design. 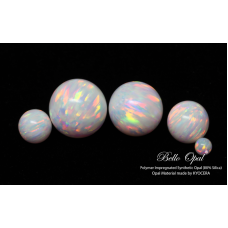 Opal bead with large hole is also available and this is widely used in body piercing jewelry designs. 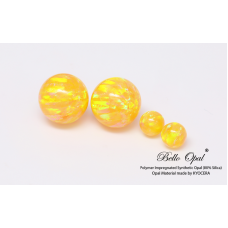 This is 6mm round bead with 2.1mm half drill. 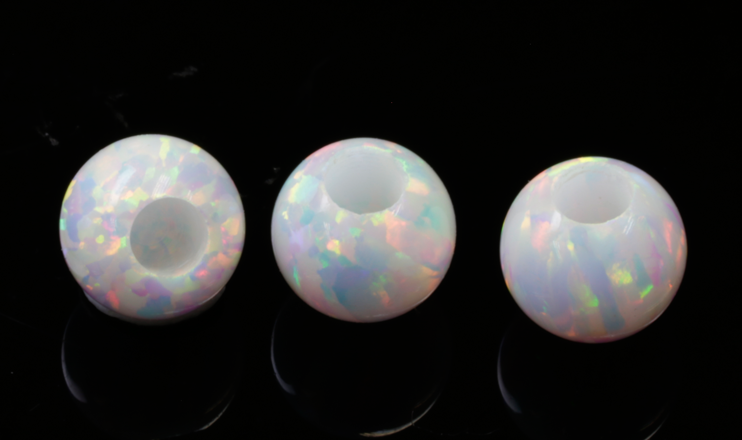 If the hole size is larger, the hole edge will become more rugged.